Anne sent Stacy over with some flowers and McEwan and Sons grits from Alabama. 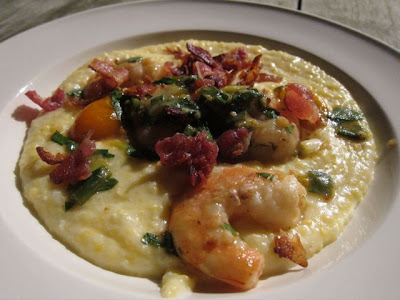 It seemed natural to make shrimp and grits. Ours included bacon, scallions and tomatoes. Three cheers for shrimp and grits! how much for one grit?